Ralliers called for Newton to become a "Welcoming City," outside Newton City Hall on Tuesday. NEWTON — After weeks of debate and rallies in support of immigrants, the Newton City Council on Tuesday voted 16 to 1 to become a “welcoming city” that protects all residents, regardless of their legal status. 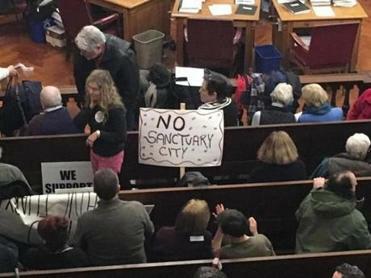 Seven councilors were absent from the packed meeting, which followed a rally attended by more than 150 people who held signs, wore buttons, and cheered to show their support for providing “sanctuary city”-type protections to immigrants and refugees. The vote was greeted with a standing ovation from residents who attended the meeting. 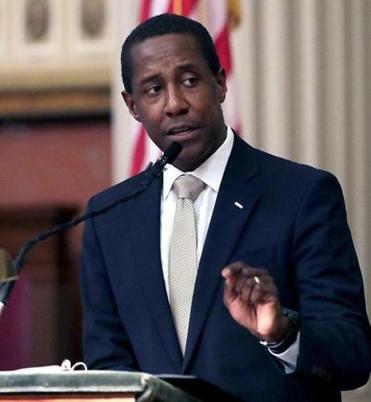 Mayor Setti Warren praised the council’s action in his final State of the City address, which followed. Dozens protested Wednesday as officials debated the city’s role in policing undocumented immigrants. The ordinance “reaffirms the City’s commitment to fair treatment for all,” according to council documents. “This is the way government should work,” said Mayor Setti Warren, who is not seeking reelection in the fall. About 22 percent, or more than 19,000 of the city’s nearly 88,000 residents, were born outside the United States, according to the US Census data from 2015. Councilor Allan L. Ciccone, Jr., a retired Sherborn police officer, cast the lone vote against the ordinance. The ordinance is a “great idea,” he said, but goes against the constitutional law he was taught to uphold. The vote makes Newton the latest Massachusetts municipality to act to protect residents amid President Trump’s immigration crackdown and his threat to strip funding from so-called “sanctuary cities,” where local police generally do not assist federal authorities in enforcing immigration laws. Their officials have said they will continue the policy, despite the potential loss of federal funding. In Salem, the City Council last week discussed a sanctuary city ordinance. The matter was sent to a committee for study. Acton officials have met to discuss becoming a sanctuary town, but have not set a deadline for deciding. 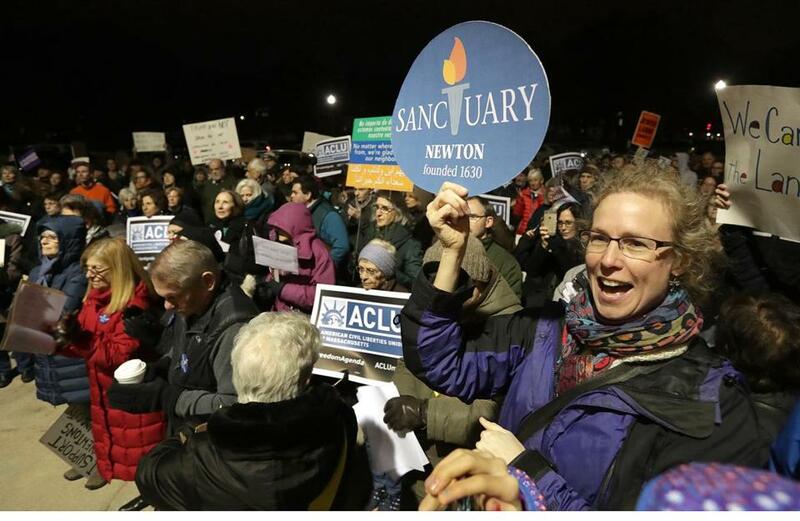 Newton chose to designate itself a “welcoming city” instead of a “sanctuary city” because it better defined the message the community wanted to send, said Councilor Susan Albright. The ordinance was modeled after similar ones in Santa Ana, Calif., and Chicago, she said. The vote in Newton was not unexpected. Earlier this month, two subcommittees voted to recommend approval by the full council. Police Chief David MacDonald and former mayor David B. Cohen also announced their support for the measure. Ruthanne Fuller, a city councilor at large, said the council had received nearly 1,000 e-mails from residents regarding the issue of immigrant protection. She and her colleagues hoped to create a “strong, clear ordinance to protect peaceful, productive” immigrants, Fuller said. Some councilors also participated in the rally organized by the Newton Democratic City Committee that preceded the meeting. “We do have an undocumented immigrant problem in Newton . . . We want to support them, and we want to be with them,” Albright told the crowd. 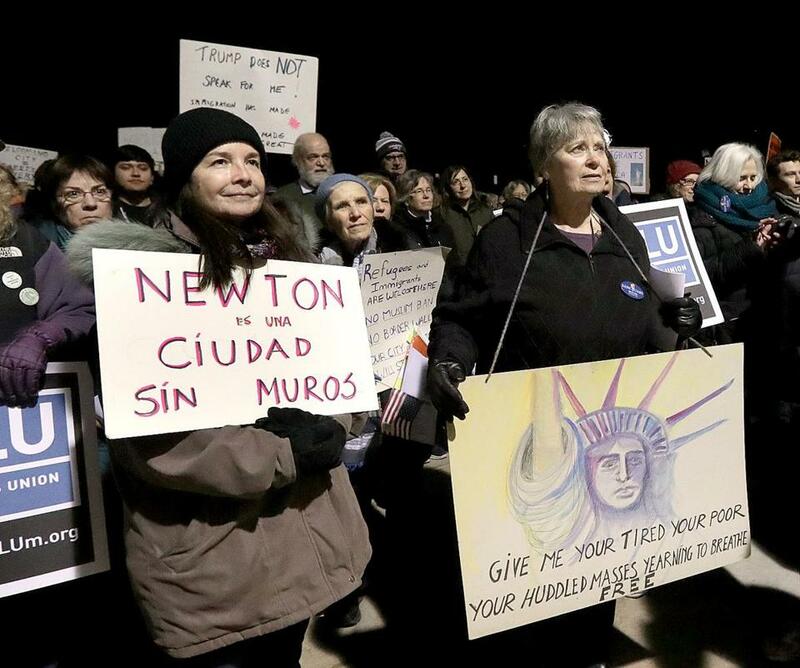 Julie Crosson joined the crowd at a rally outside of Newton City Hall Tuesday to urge the City Council to declare Newton a so-called welcoming city that strives to protect the rights of immigrants.